The table name is Scores. Is it correct to do the following? No. That will drop the table only if it contains any rows (and will raise an error if the table does not exist). 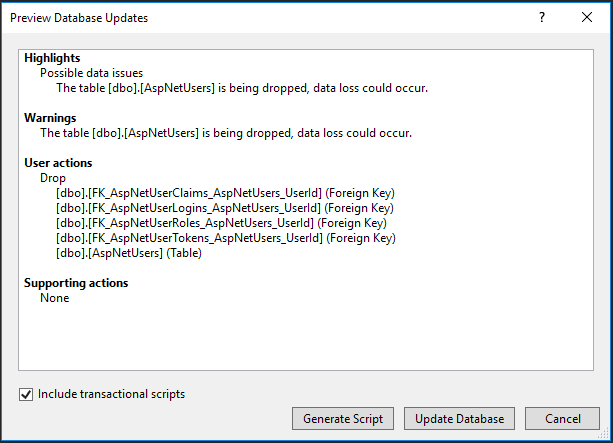 SQL Server 2016+ has a better way, using DROP TABLE IF EXISTS …. See the answer by @Jovan. It will be in SQL Azure Database soon. The ANSI SQL/cross-platform way is to use the INFORMATION_SCHEMA, which was specifically designed to query meta data about objects within SQL databases. Most modern RDBMS servers provide, at least, basic INFORMATION_SCHEMA support, including: MySQL, Postgres, Oracle, IBM DB2, and Microsoft SQL Server 7.0 (and greater). Have seen so many that don't really work. when a temp table is created it must be deleted from the tempdb! DROP TABLE #tempdbname   -- Remoeve "tempdb.dbo"
where dbo.TableName is your desired table and 'U' is type of your table. Select and Right Click the Table you wish to delete, then delete. Such a screen should be displayed. Click Update Database to confirm. This method is very safe as it gives you the feedback and will warn of any relations of the deleted table with other tables. Do like this, it is the easiest way. qry will be your own query, whatever you want in the select list. 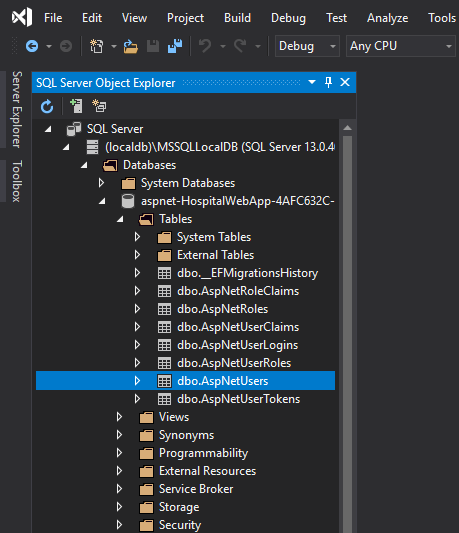 How do I drop a foreign key constraint only if it exists in sql server? DROP IF EXISTS VS DROP?